Are you and your family ready to survive the next disaster? Do you worry what would happen to your family in an emergency? If so, then you need The Ultimate Prepper Collection: Survival Guides for Every Situation! What would have made The Ultimate Prepper Collection better? Just a really long shopping list. 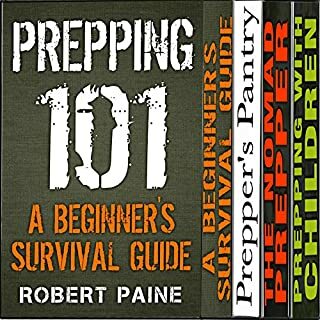 Has The Ultimate Prepper Collection turned you off from other books in this genre? What three words best describe Don Baarns’s voice? If you could play editor, what scene or scenes would you have cut from The Ultimate Prepper Collection? Most of the shopping list parts. Building resilience - the ability to bounce back more quickly and effectively - is an urgent social and economic issue. Our interconnected world is susceptible to sudden and dramatic shocks and stresses: a cyber-attack, a new strain of virus, a structural failure, a violent storm, a civil disturbance, an economic blow. 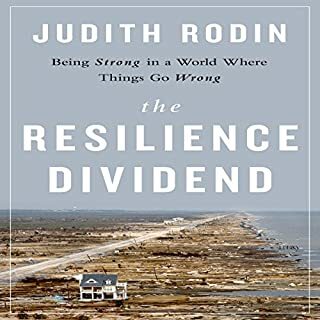 Judith Rodin shows how people, organizations, businesses, communities, and cities have developed resilience in the face of otherwise catastrophic challenges. What didn’t you like about Cyndee Maxwell’s performance? The narrator is very dull and monotone, the content is full of buzzwords and very neutral vocabulary, and overall reads like some kind of corporate report that was only written as a formality and never meant to actually be read by anyone. It is elemental, mysterious, precious, destructive. It is the subject of countless poems and paintings; the top of the weather report; the source of all the world's water. 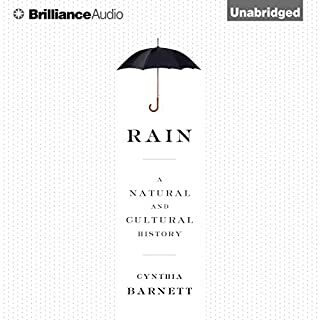 Yet this is the first audiobook to tell the story of rain. What disappointed you about Rain? About half the book is just random historical anecdotes about rain that don't really have any cohesion or relevance the the rest of the book. It feels like the author accumulated random bits of information off the internet and just tossed it on to a page. The rest is somewhat interesting but shallow, it feels like a lot of good information was left out because the author didn't really have a proper objective when writing. Would you ever listen to anything by Cynthia Barnett again? No, she honestly is just not good at this at all. The good parts were where she properly elaborated on certain parts of history, especially the settlement of the American midwest, as well as modern attempts at controlling and adapting to weather. But even those parts were really lacking. She also spends a considerable amount of time in the book talking about her travels during her "research". What for? For bragging rights and to throw more pointless anecdotes your way of course! She honestly sounds more like some hipster who is way overestimating her own intelligence, the kind of person who likes the idea of being a writer or "activist" more than actually producing something of value.